Well, that was a dumpster fire. Does anyone out there think that they were a little rushed to finish this season in 10 episodes? Well the Dads think so. Come have a listen as Corey huff and sighs at yet another finale that was more 'meh' and infuriating than it should have been. Clay tries to come to its defense but it doesn't last long. Let us know what you thought. Did you like the finale? Did you like the season? 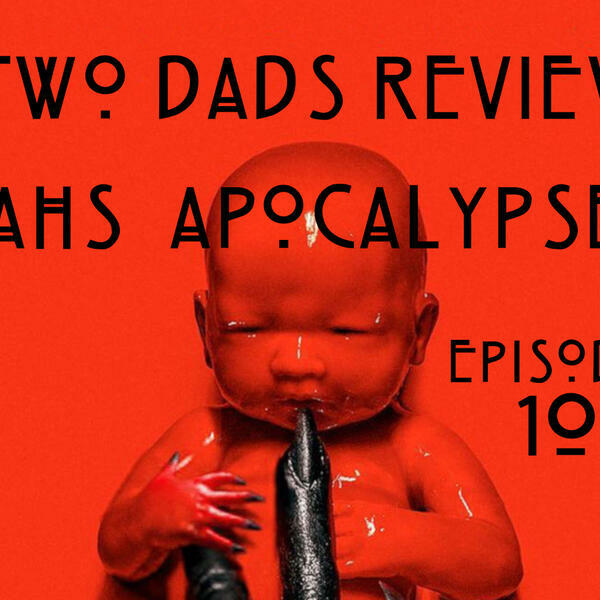 Where does it rank in your list of AHS seasons? Remember to subscribe where you listen to podcasts and turn on notifications. That way you won't miss a new show. Next up is a Time Travel series. Clay and Corey will be reviewing all the great time travel movies we can before season 2 of Star Trek Discovery starts.